Hi, I'm Valerie and welcome to my piano website which I share ideas on teaching and learning the piano. 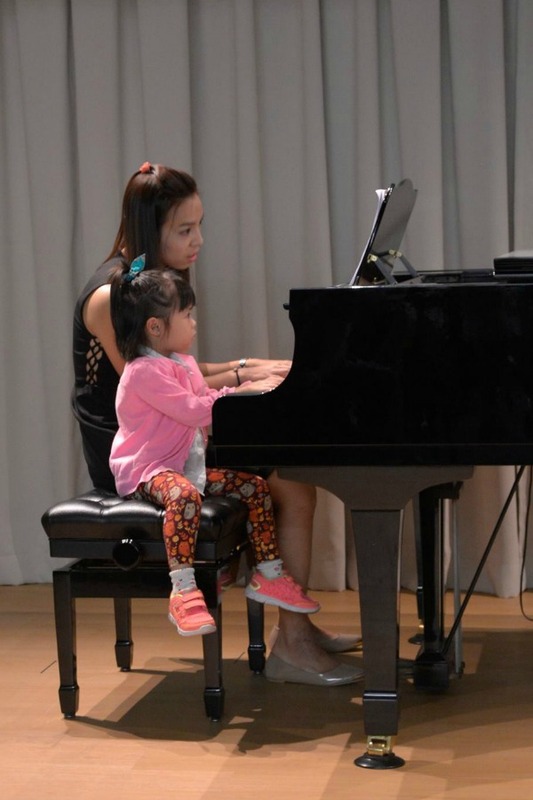 I'm a piano teacher in Singapore, and I hope by sharing my tips and ideas on learning the piano here, I can help more people to play the piano better! I'm a full-time piano teacher, hence my focus is more on my students than on this blog. So, pardon me for not updating it regularly! You can find out more about me and my piano studio here! 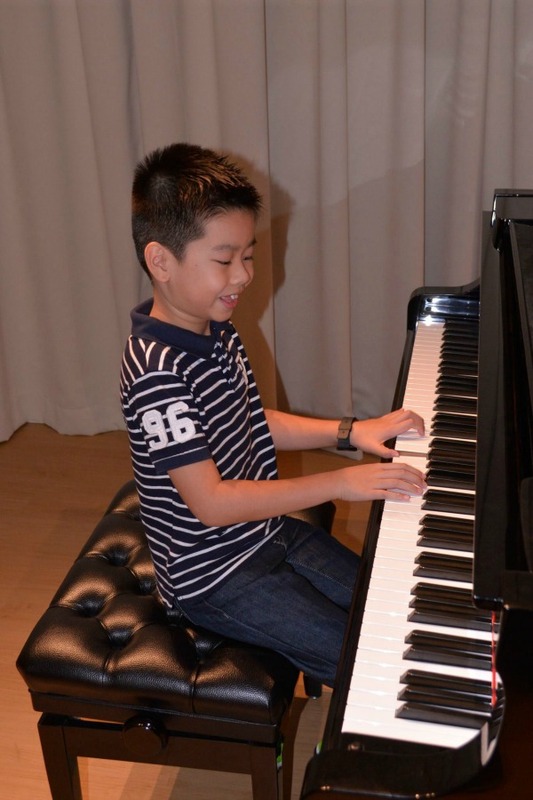 If you're interested to learn start learning to play the piano, I do offer piano lessons in Singapore. Check out my piano classes at my website here! Great Theory Results! Well Done! Top 10 Skills Children Can Learn From Arts! While I teach the piano, my husband, Marcus, teaches the violin! 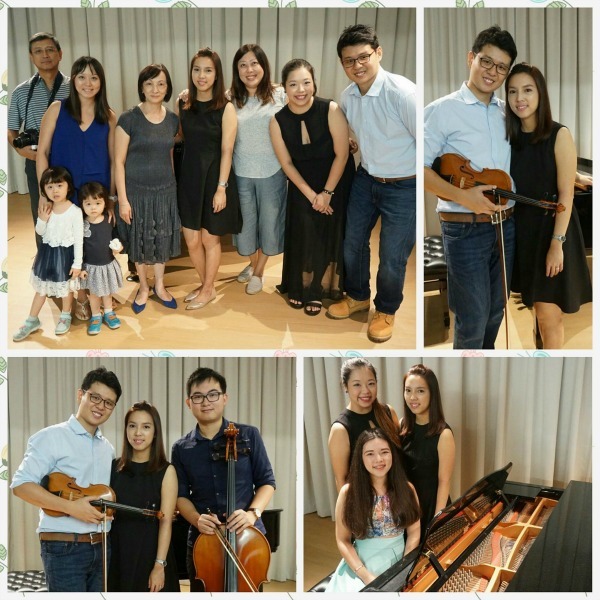 Both of us teach our music lessons at our home studio in Pasir Ris. 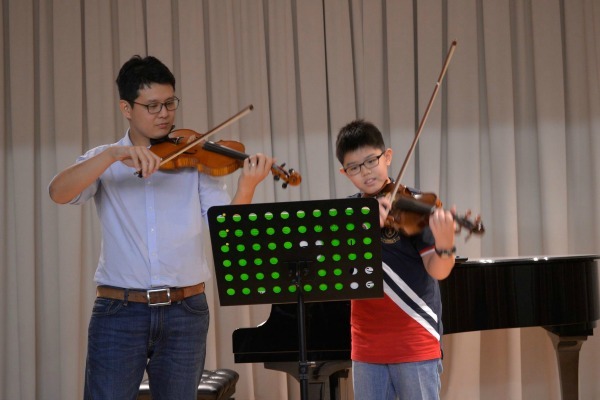 If you're looking for violin teacher in Singapore, drop Marcus a message at his violin site here! Annie is my first piano teacher back in Hong Kong and now I enjoy playing the piano with her whenever I met up with her. 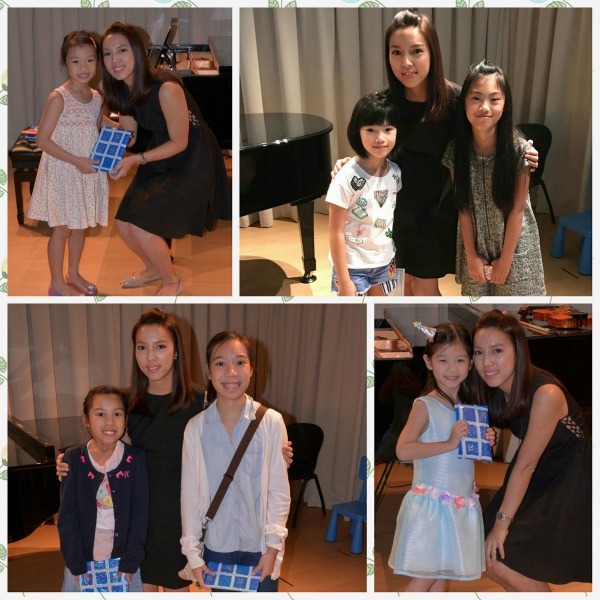 If you're looking for piano teacher in Hong Kong, then I will highly recommend Annie! 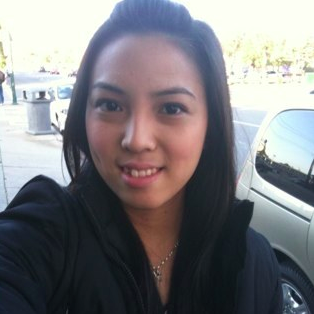 The Happy Pianist is a piano lessons agency that I help out with. 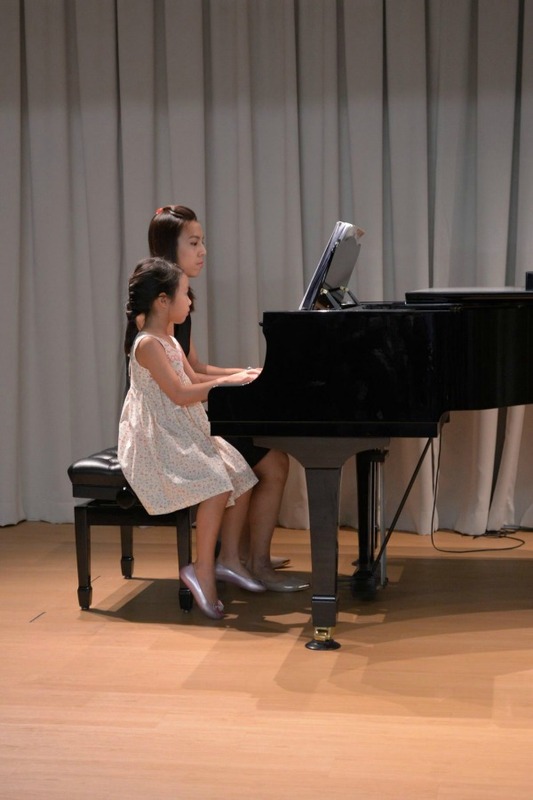 They help students to find suitable teachers to start piano lessons. 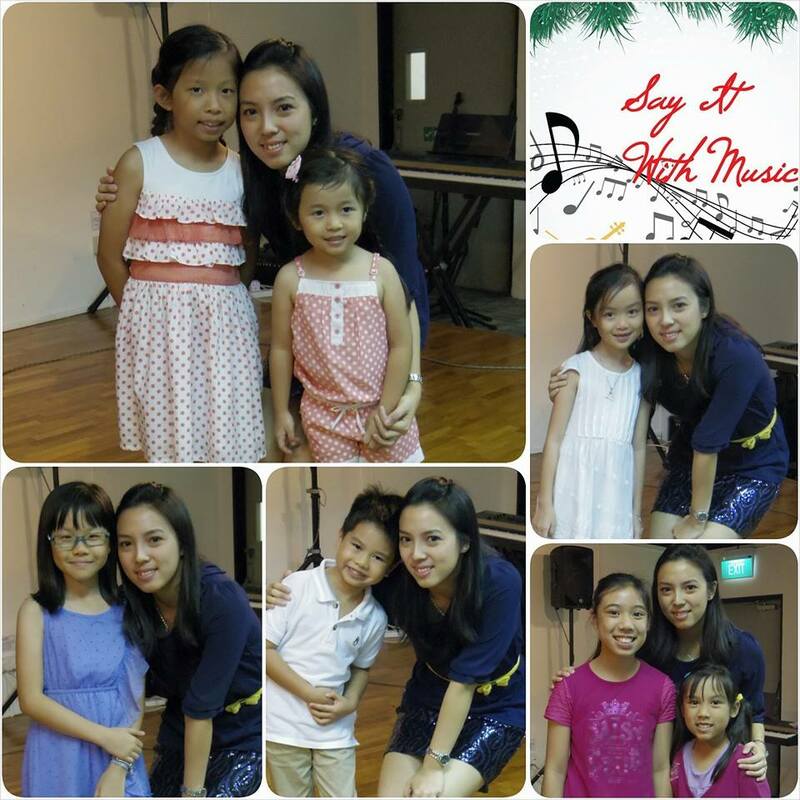 If you are looking for good piano teachers in Singapore, let us know! 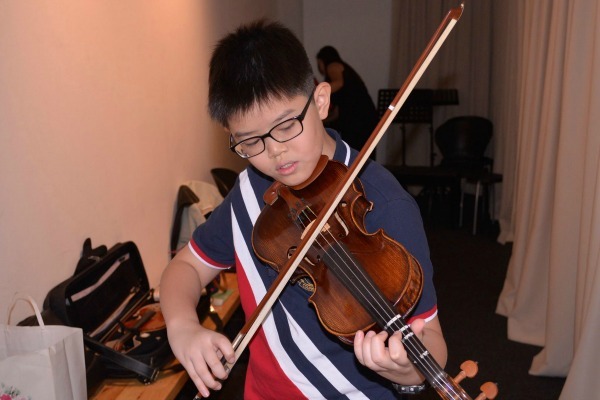 The Happy Violinist is a violin lessons agency that help students look for violin teachers If you are looking for violin teachers in Singapore, submit your enquiry! Yay! 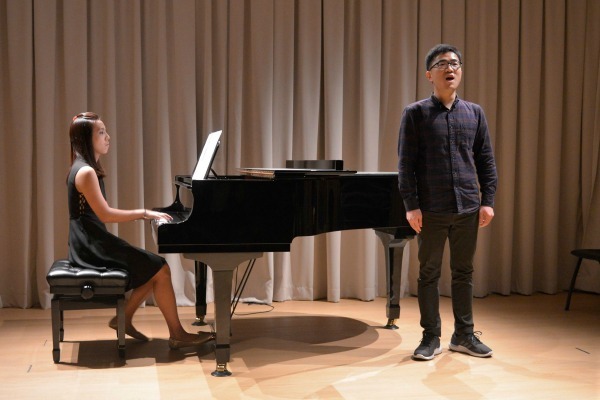 The annual student concert this year was a success! This is our second student concert, with the first one back in 2014. 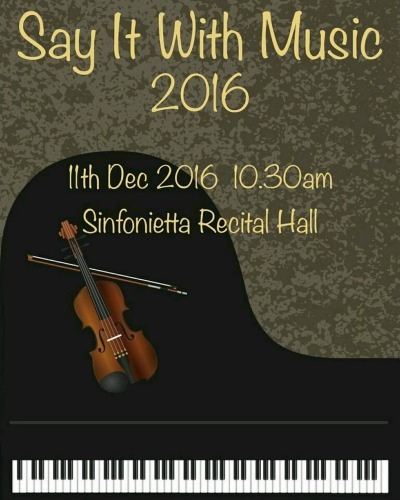 Say It With Music 2016 is back with bigger concert hall, more variety of performances, and most importantly, more students! Every year, I will organize at least one concert for my students, and probably rope in a few of my fellow music teachers to join in as well. This concert is to provide a stage for students to perform, because ultimately, learning music is not just about taking more and more exams. We want our students to learn and appreciate music, and be confident performers too! 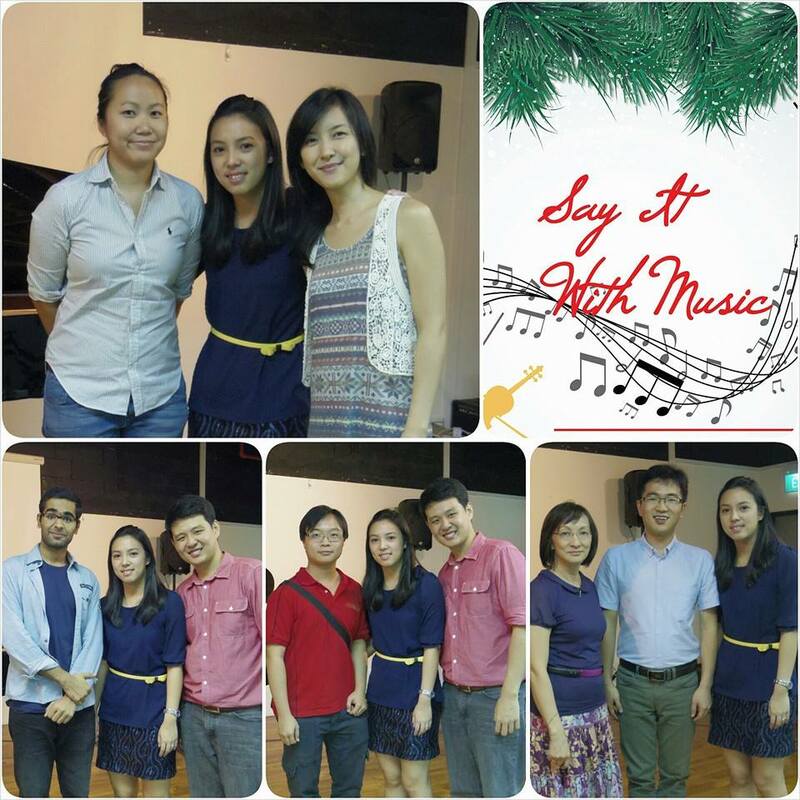 So here are some of the highlights of Say It With Music 2016! The concert starts at 10.30am, but we booked the studio from 10am onwards so that students can come in to practice and feel the piano. Yeap, we have violin performers too! Everyone came early to warm up their fingers and instruments! And then we kick off the concert right at 10.30am! Yeap! Playing duet with kids of the piano too! And then we have our first violin duet! He’s playing with teacher Marcus from Violin Music School. 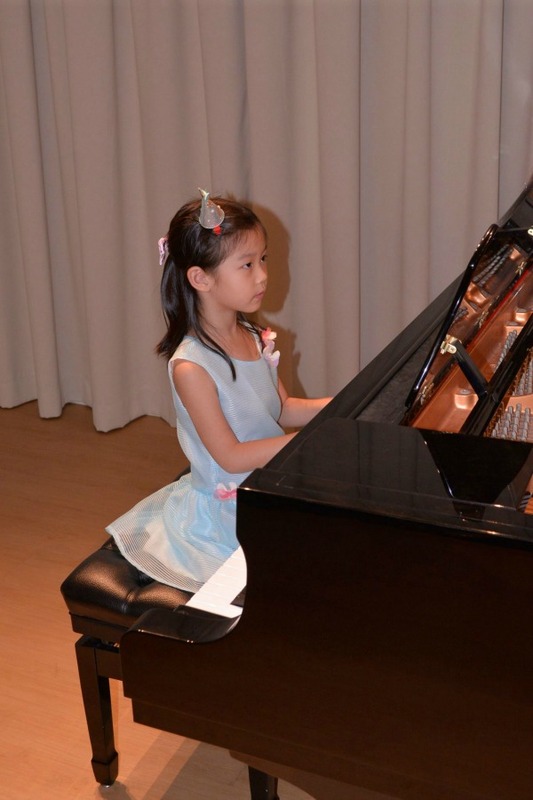 And then we have our youngest piano student performance! She’s just 5! Isn’t she cute?! Other than just piano and violin, we also have cello performance! 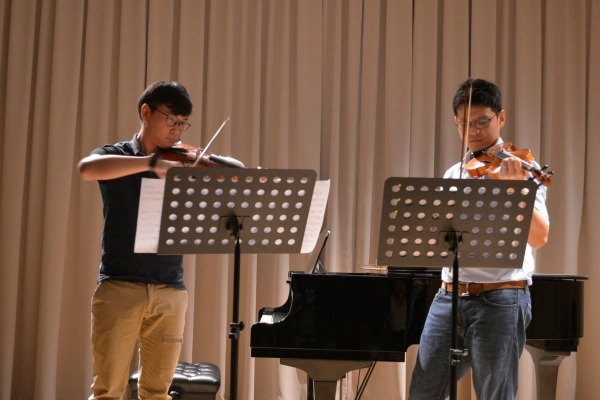 Isn’t that great that music students can come together to learn from each other’s performance? 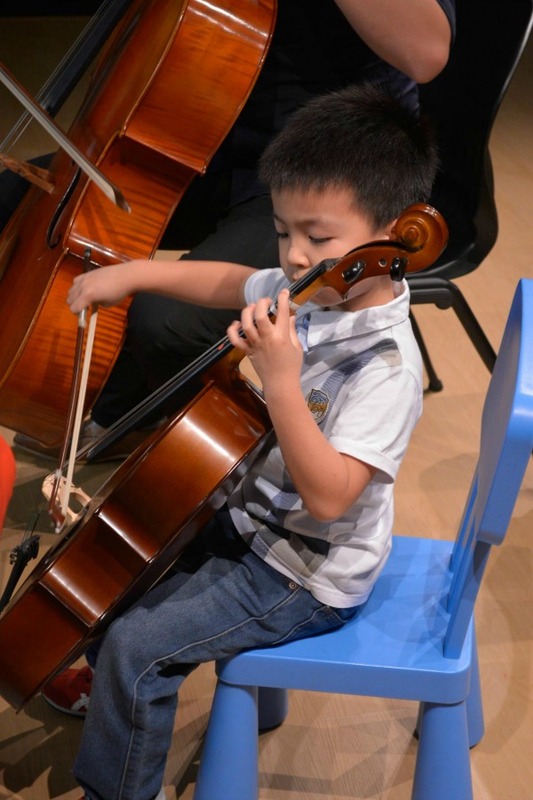 The cello might look big and hard to handle, but not for this little boy here! 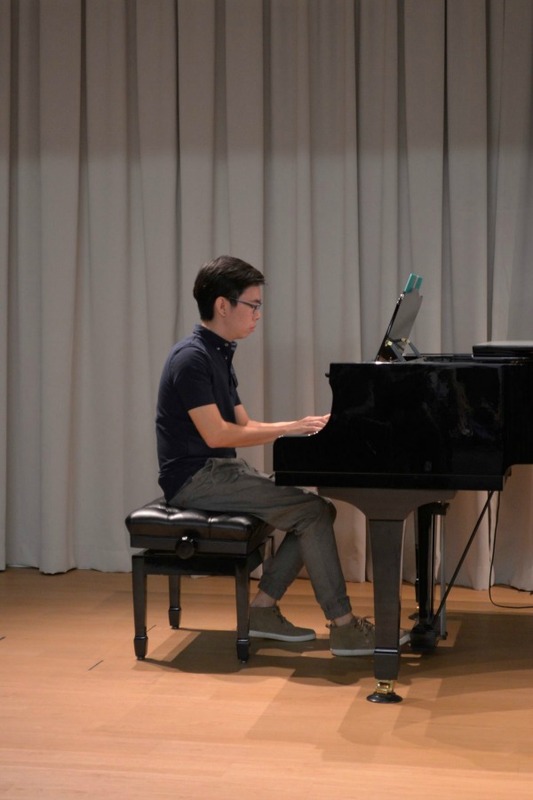 He manages his performance well, and even played duet with his teacher, Jayden from Music Mood! To add more variety, we have vocal performances too! And violin duet, teacher Marcus and his another student! We had short breaks in between, and other than student performances too, I also get some of my friends to perform along as well. And that was the time when all the students can take a break and enjoy performances from their teachers! Yes, that was a duet by my friend Maria, and I. She’s an awesome singer, having performed in various corporate events, Dinner and Dances, and community programs too. And the song we sing is really unique. There’s no words! Watch the video reel below to watch it! And then, we have the finale! A grand performance by the 3 teachers who organized the concert, for all the students, parents and friends who made Say It With Music 2016 a huge success! 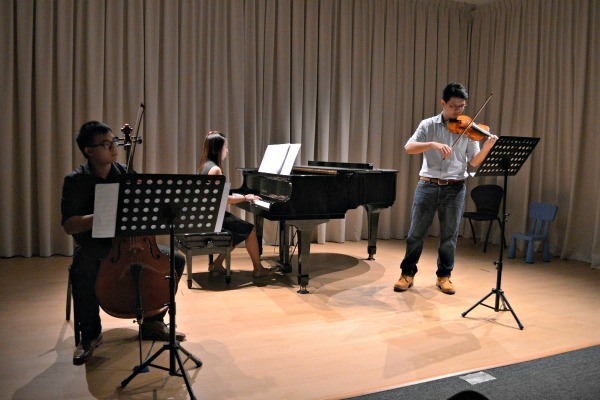 A combination of Piano, Violin and Cello, performing ‘A Thousand Years’ by Christina Perri. We want to end the concert with a message that music is for everyone, and everyone can come together to play music! Once again, we want to thank everyone who made this concert a huge success! We will see you again for Say It With Music 2017! Btw, if you want to learn more about teacher Jayden and his classes, you can find out more about his Music Mood music lessons! 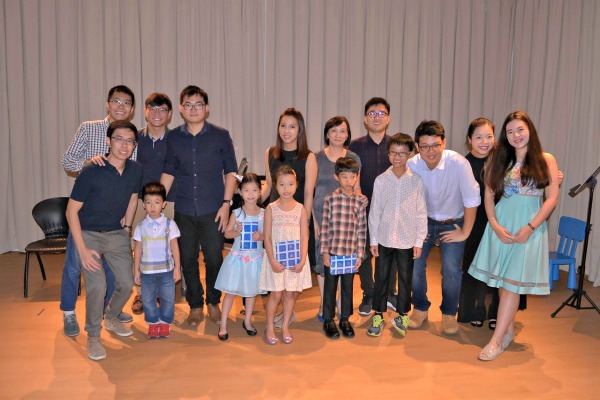 I shall start the year by looking back at this successful event which I’ve organised with teacher Marcus Ng from www.ViolinMusicSchool.net. 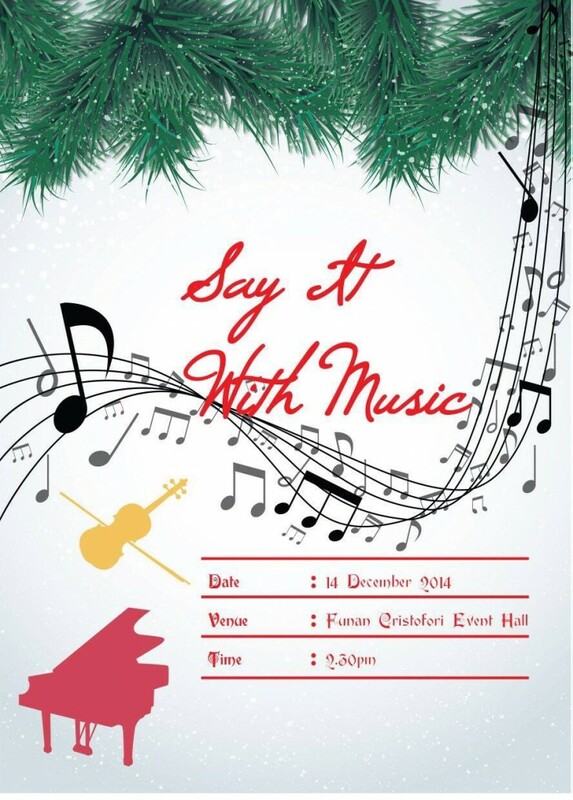 Say It With Music 2014 is a students’ concert in which we give them a stage for them to gain confidence and exposure in performing in front of a crowd. We gather both our students and prepare them for a concert. I have my piano students, and teacher Marcus has his violin students. How about the audience? What more could be better than having the support of our loved ones to watch us play? I’m glad that after a year in teaching, I can inspire them to go up the stage to perform for their loved ones. And this is the reason why we organize this concert! You see, practicing a song and performing a song are two different things. 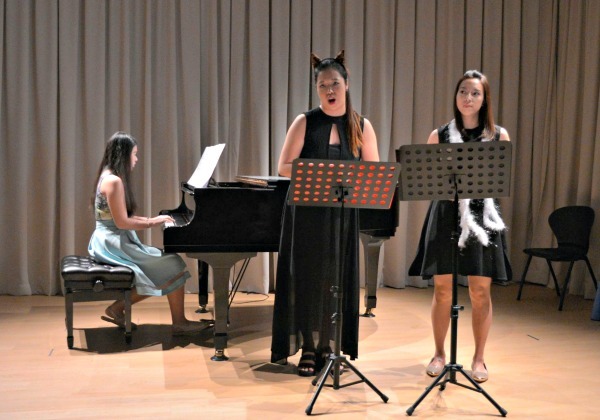 Most of the time, when students come to practice a song that they have learnt, they can do it without much difficulty. As long as they practice correctly and regularly, they can play the song well. However, everything will be different when it is about performing, even if it is performing the same song. The nerves will appear, stage fright might come in, ‘mind can go blank’ anytime. These are some of the common worries students have when we ask them to perform. If performing is that scary, why do we still want to organize a concert to put them in a spot? We want them to gather experience in preparing a song for performance! And that can only be done if we give them a stage to do so, and not countless of hours of practicing without a single minute of stage time. I’m glad that everyone had a great time! Whether or not that performance was perfect isn’t the most important thing, the fact that everyone had something to take home from this event makes it memorable. Big cheers for my students!